"...Sometimes they call me the great unwashed." 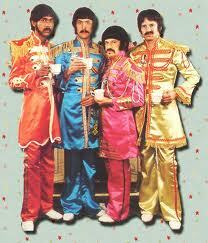 The Rutles are actually The Beatles from the Bizarro World. They simply share their love and respect for The Beatles with pinpoint, needle-nose apple-scruff precision. Each song is carefully crafted with various sounds, instruments, vocal mannerisms and tricks that have become synonymous with the Fab...BUT absolutely unique in that wickedly tongue-n-cheek Monty Python style. Something completely different...but awesomely familiar. Lost Gem:--> "Joe Public"...has a fantastic arrangement heavily influenced by..."Tomorrow Never Knows" and "Rain". Don't think...just go with it. Fab Four Perfection! Joe Public - that's me. "You give all you want, but you take away what's mine." 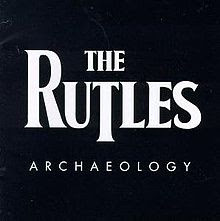 An incredible Power-Pop group...Beatlesque in every way. 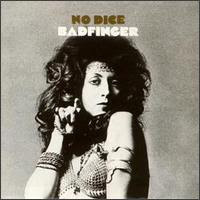 Badfinger were forerunners to later bands like...The Raspberries, The Records, Big Star, Cheap Trick, Foreigner...and the list goes on. They had incredible melodic vision all served with an undercurrent of shadows giving even the most simple songs fresh legs. (In retrospect, many seemed to be an unconscious cry for help). Without opening up the public can of worms about lousy management that played no small part in two tragic suicides. 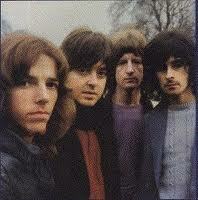 (Peter Ham & Tom Evans)...Badfinger was a band much too talented...to be treated much too unfairly. Lost Gem:--> "Better Days"...has a funkified shuffle groove with excellent guitar fills from Pete Ham. The message is clear, really. Just give me my fair share. Baby, so much better all the time. A little time, a little trouble, a better day. "...and even Thomas Jefferson is on the nickel over there." 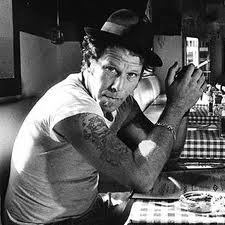 The theatrical singer-songwriter...Tom Waits...was born in California...but his spirit walks the dark, dank backstreets of...Anywhere, USA. And his spirit haunts lonely dives and desperate times. And his spirit breaks your heart and his spirit mends your heart ...again and again like the constant give and take of the sea. Waits is a matchhead. Waits is a featherball. Waits is...Waits. Lost Gem:--> "On The Nickel"...rough vocals of Waits...wonderfully contradict this soft gentle ballad of kind warnings to messy haired young boys...&...and the nameless, faceless street rats who called heads instead of tails. 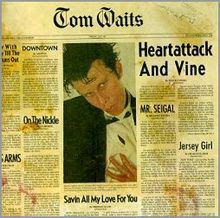 The song (per Waits) is affectionately known as..."A Hobos Lullaby". I'll sing this lullaby just for you. Is on the nickel over there. But you never know how rich you are. You haven't got a prayer. So it's heads you win and tails they lose. So jokes be damned...Kiss knew what audiences wanted and gave it to us. They made it fun. Lost Gem:--> "Parasite"...a standout written by Ace Frehley. The band was young, fearless & hungry. And you can hear it. It's loud...heavy...& riff-nasty. Simply killer. She thought she knew me, but she didn't know. That I was sad and wanted her to go. I need her and I hope she'll understand. "The first time you deceive her...you've broken her spell." 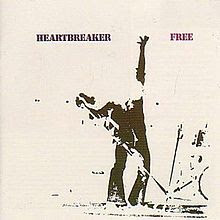 In 1973, English rock band...Free...released their last album..."Heartbreaker"...before disbanding. Paul Kossoff - guitar...Simon Kirke - drums...John "Rabbit" Bundrick - keyboards...and, of course, "The Voice"...lead vocalist - Paul Rodgers. Free was a solid force that played punched up bluesy rock. Not always crackin' homers...but when the group connected...it was solid. "All Right Now" was Free's biggest song...making #1 almost everywhere. And one of Classic Rock's most requested songs. 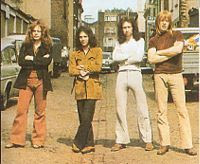 The same year Free broke up (1973)...Paul Rodgers & Simon Kirke went on to form Bad Company. So it's no wonder listener's can hear earlier glimpses of "BC" from Free's last offering. Lost Gem:--> "Muddy Water"...Rodgers gives each word their due and it's vocal candy. Does he mean what he sings? You tell me. And wouldn't this fit nicely on any Bad Company album?